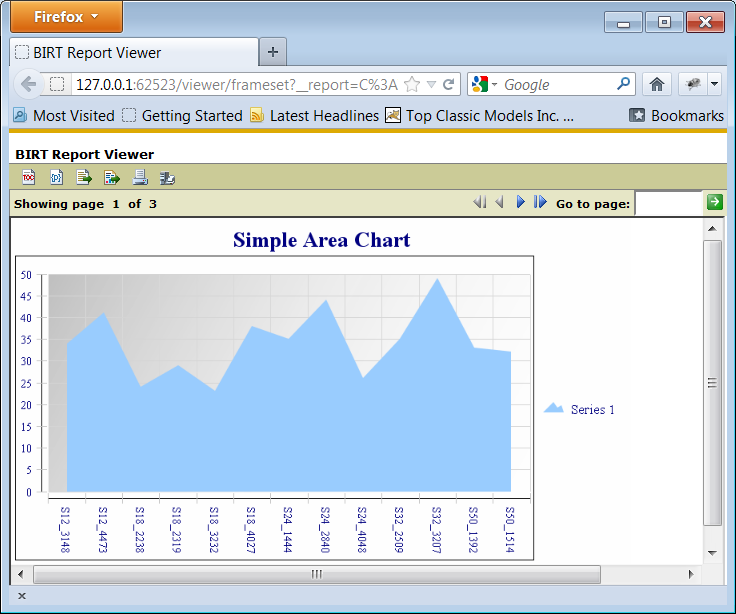 BIRT 4.2 is now available and with this release many improvements and new features are available. 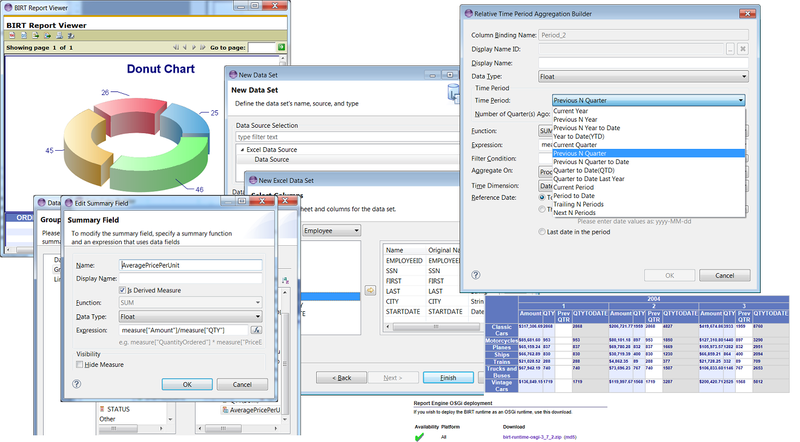 BIRT 4.2 now provides a new Excel data source that supports multi-sheet data sets, derived measures are now available on cubes, better filter support with aggregates that allows cumulative data to include or exclude filtered rows, and support for an OSGi or POJO runtime. In addition BIRT now supports a Donut chart type and the build process has been modified to add Maven support for the BIRT engines. 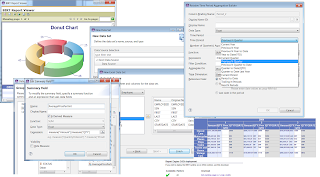 To read more about these and other new features for BIRT, see the BIRT 4.2 New and Notable. 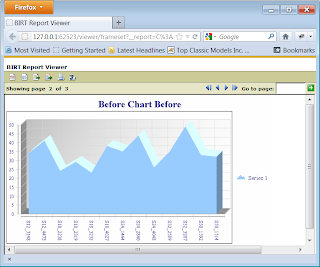 BIRT supplies a very robust and extensible chart engine, that can be used standalone or in conjunction with the report engine. 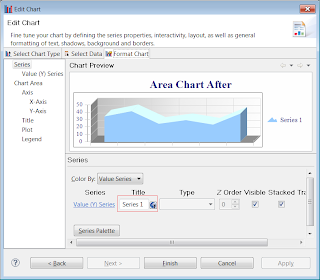 Currently the chart engine supports fourteen different main chart types and many sub-types. Charts can be emitted in PNG, JPG, BMP, SVG within reports and can be also emitted to SWT, PDF and Swing outside of the report engine. Virtually every area of the chart engine is also extensible, from adding new chart types to new output formats. These are done with Eclipse extension points. 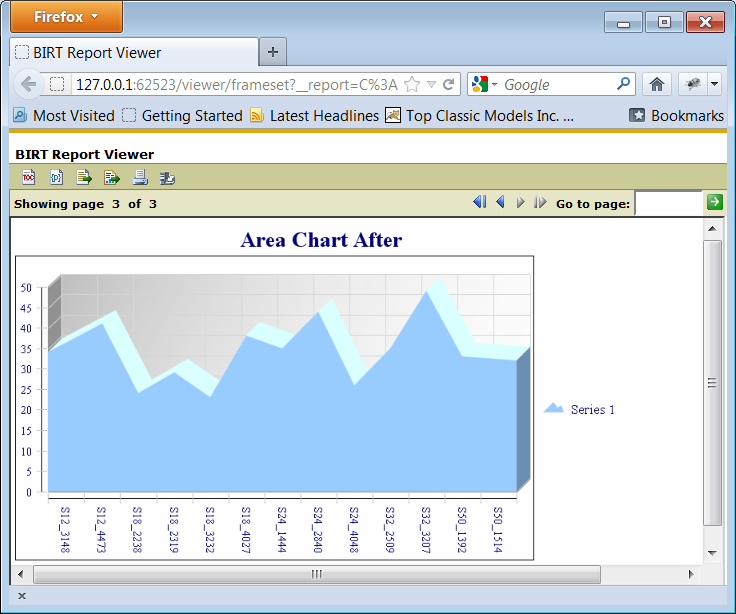 In addition the chart engine supports client side interactivity and server side event scripting. Both of which have been discussed on the site before. 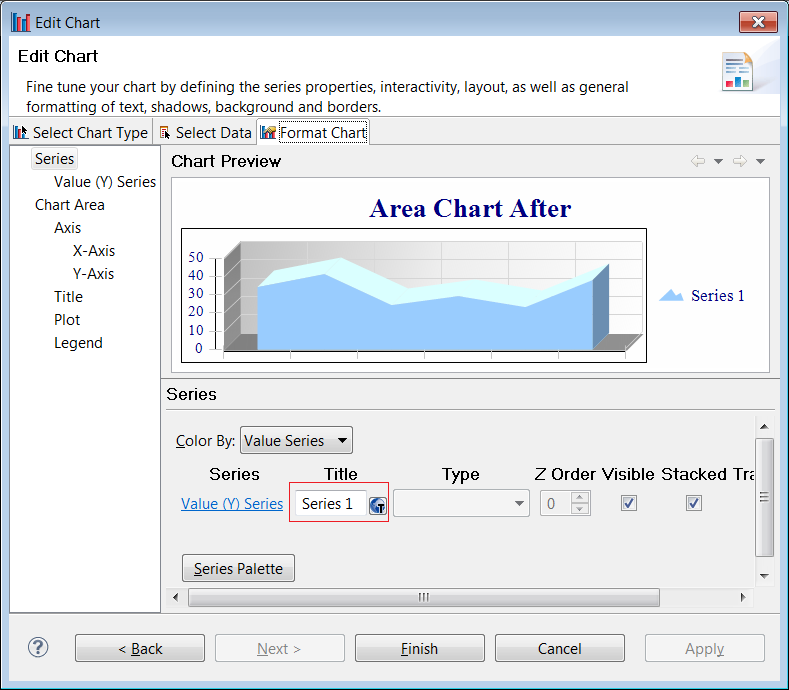 One of the most often used chart types is the Area chart. While this type of chart is an effective visualization, we often get questions on how to extend the Area chart to the extents of the plot. In this post we will put together an example that illustrates one way of extending the covered area. So in the beforeDrawSeries event handler you can check the series identifier by calling the following code. 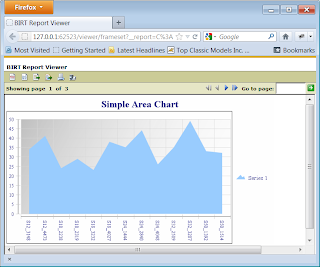 Each data point element in the array stores information like the category value, orthogonal value, and x/y location values that the renderer will use to draw the chart. To get the x location of the area chart we first call the getLocation method and then the getX method. This needs to be done for the first and last data points in the array. You can set the x value using the setX method on the location object. 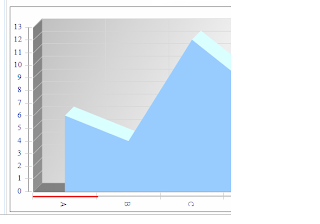 You can also get the width of a data point by calling the getSize method. This method returns the width show in red in the following diagram. Using the above methods we can subtract half the width from the first data point x value and add half the width to the x value of the last data point value. The complete script is shown below. A before and after example 2D with depth chart is shown below. This example is available on Birt-Exchange.